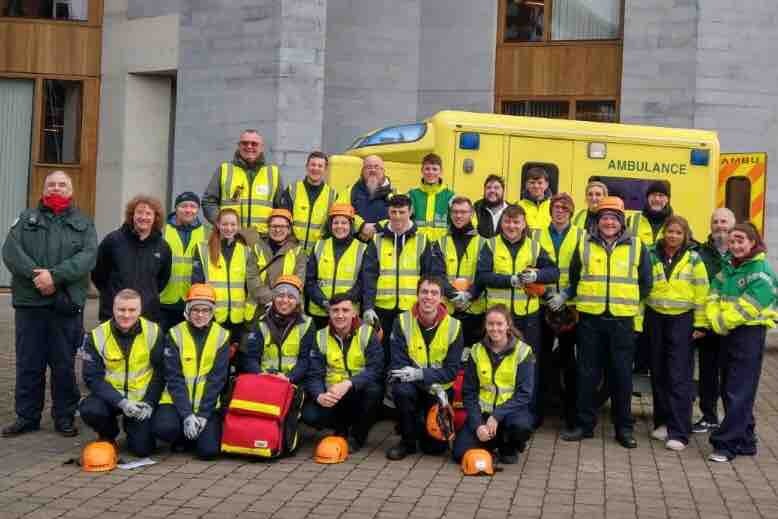 We are three first-year Paramedic students from the University of Limerick, Michael Downey, Cathal Kilcullen, and Rebekah Collins. We have been most fortunate in being selected to travel to Jaipur, India in April of this year. The aim of this trip is to help train and develop the skills of the locals in pre-hospital emergency care and help them in the challenges they face on a daily basis, whilst we also gain immeasurable knowledge and experience. We will be teaching the local people life-saving skills, and providing insight into improving the current infrastructure available to the ambulance service out there. For this trip, we must raise €4500 collectively to cover our expenses to make this once in a lifetime opportunity possible. We would be extremely grateful for your support in any donation possible in order to make this trip happen.